A group of more than 75 companies are today joining the Open19 Foundation, a non-profit open source organization which aims to create data center hardware standards without threatening the intellectual property of those involved. 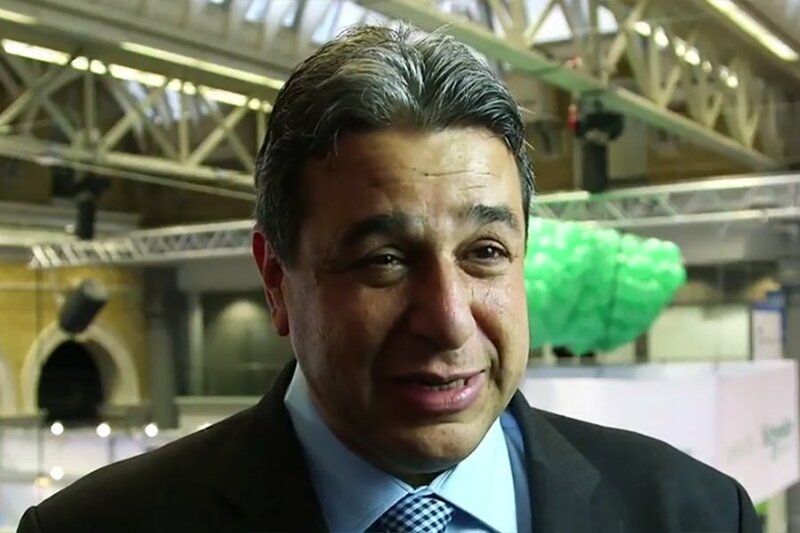 Founded by LinkedIn, HPE, GE Digital, Flex and Vapor IO, the foundation is made up of “data center operators, systems operators, component suppliers” representing about a million servers a year, said Yuval Bachar, LinkedIn’s principal engineer for global infrastructure architecture and strategy, and president of the Open19 Foundation. The organization’s first project, which will be available in the fourth quarter of the year, is a hardware platform based on what has been defined as the Open19 standard. As the name indicates, the platform works with any 19-inch rack, but allows for multiple suppliers for every element. In other words, the framework is standardized, but the choice of servers and storage is entirely up to the customer. The idea is to make modular, efficient designs for data centers that can be integrated quickly. The standard stipulates four basic core elements: a cage; bricks to hold servers and storage, which can be half-width, full width, double height and double width to allow for flexibility in design; a power distribution shelf, which takes “low power, high power or DC/AC and converts it into a low power distribution into the rack itself,” Bachar explained. And finally, the cage itself, which uses snap-on cables for both power and data. Optionally, a networking switch and a backup battery unit can be added. 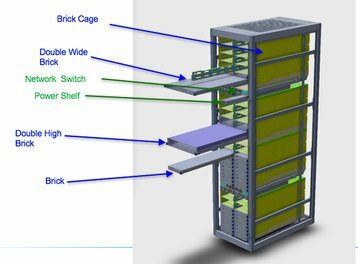 The rack operates in different cooling environments, and will work exactly the same way no matter the power environment. An example of this, he said, is bare metal cloud, a public cloud service which allows customers to rent hardware and have their IT systems maintained externally without having to create virtual machines. As Open19 allows for a minimum of 16 servers and is scalable to 150,000 servers, this makes the model suitable for edge platforms too; LinkedIn reportedly uses the Open19 standardfor this purpose already. Chris Winslow, senior VP and GM of the cloud and data center business unit at Flex, a founding member of Open19, believes that the initiative is about finding solutions to new problems created by IoT, VR and AR, in which lower latency and “mini clusters of data centers” will be necessary. “I think the more opportunity for organizations to come together in a collaborative fashion, like the Open19 Foundation, to create new solutions for these new problems, I think the better off the industry will be at the end of the day, as there’ll be more choice, more collaboration, more use cases that are easily deliverable that’ll make the business that much more robust and faster moving,” he said. And although the Open Compute Project and Open19 appear similar in their approach, the two are “trying to address a different market,” according to Bachar, who said many of the foundation’s members are also members of the OCP. To hear more from Yuval Bachar about Open19 and LinkedIn, be sure to listen to his talk at DCD Zettastructure on November 7-8 in London. For the full speaker list and conference agenda, go here.